Book Review: Rights of Adolescent Girls in India: A Critical look at Laws and Policies. Author Saumya Uma. Published 2012, A Vacha Publication. 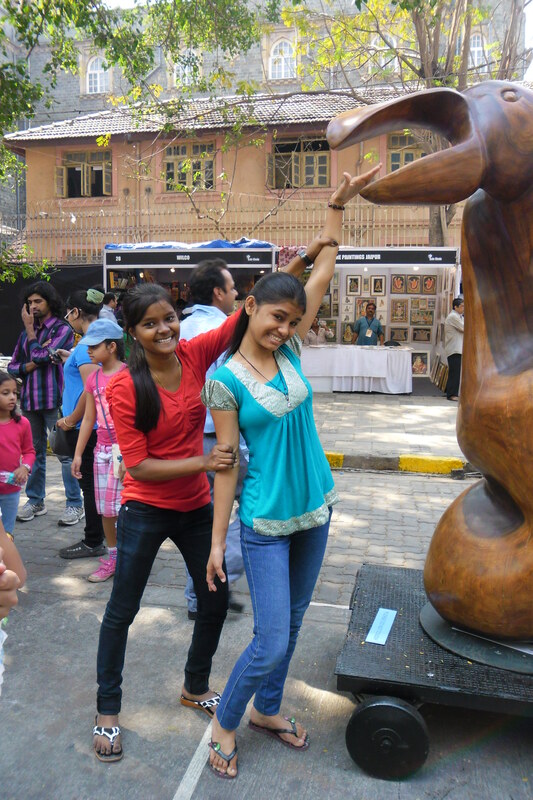 We have just emerged from the hectic madness that was the Kala Ghoda festival. For eight days, twelve hours everyday, we were manning (womanning) the display we had put up at this annual Mumbai art festival. We were holding an exhibition there, of photographs taken by young girls living in the bastis (slum communities) of Mumbai. We called it, ‘Through the eyes of girls’. The display seemed to be a meeting point of two entirely different worlds, the world that usually goes to such festivals to ‘see art’, and the world that (very uncharacteristically in this case) was displaying the art. While the former had all come armed with the best cameras to capture all the art at the festival, most of the girls whose photographs were being displayed, had hardly ever held a camera before they took these pictures, and have unfortunately not had much access to a good camera since. They had been trained as part of a photography workshop held by Vacha, conducted by the Photography Promotion Trust. Being poor girls, they form a part of society that is disadvantaged by class, gender as well as age. Technology, something that many of us take very much for granted, has hardly been very accessible to this group. Facebook, blogging, even Wikipedia – the pride of the Internet that has claimed to make knowledge democratic – remains out of reach of these girls. For them to display to the world, through their photos, how they see the world, was them subverting this digital knowledge divide. Like one visitor to the display commented, “Thank you for letting us see your world through your eyes.” Many do see ‘their’ world, the world of cramped homes and dirty alleys, but ‘they’ hardly get to show it like they see it themselves. Here they showed their homes, their families, their work and their play – daring people to see them as they are, clearly, without guilt, or pity. The description had been about how the digital divide excludes poor girls – something this woman had had never experienced. If that had moved her, well, the exhibition was a success.